More than 6.4 million people are living with the aftermath of a stroke or cerebrovascular accident (CVA), which brings sudden neurological deficits when arteries leading to the brain are blocked or burst. During a stroke, brain cells die because the brain is not getting enough oxygen and physical and cognitive impairments result. The good news is that the brain is an amazing organ and can be “rewired” for optimal function thanks to its plasticity, or its ability to change and adapt. The most common impairments from a stroke are loss of sensory function, motor function, cognitive abilities, perceptual capabilities and language function. The motor deficits are usually classified as hemiplegia (paralysis) or hemiparesis (weakness). The loss of functional abilities oftentimes results in other medical conditions and complications, including: diabetes, cardiovascular disorders, pneumonia, seizures and even injuries from falling. 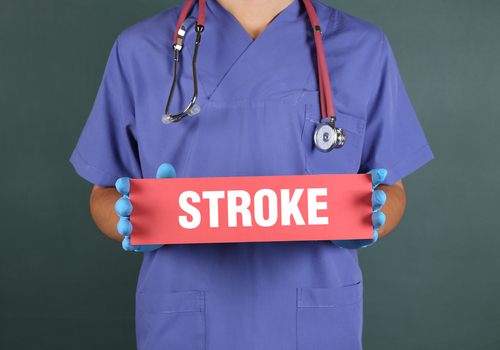 Plus, about 795,000 stroke survivors will suffer a new or recurrent stroke. Since stroke recurrence is a real possibility, risk factors must be managed and neurorehabilitation and ongoing physical activity are important elements of ongoing care. Several types of rehabilitation techniques are available to stroke patients. One is Constraint-Induced Movement Therapy (CIMT), which helps patients overcome learned non-use of an affected limb. After a stroke, a patient may develop compensatory strategies by overusing the unaffected limb, which results in “unrealized” potential for the affected limb. With CIMT, the goal is to force the use of the limb impacted by a stroke. A sling is used on the unaffected arm for 90% of waking hours for 2 weeks. The impacted limb is used repeatedly in exercise or activity for 6 to 7 hours each day over these 2 week. By forcing the use of the arm, there may be a functional reorganization in the brain that results in improved motor ability. Studies have shown that CIMT can produce changes in brain metabolism, blood flow and electrical excitability. For lower extremities, Body Weight Supported Treadmill Training enables active repetition, task specificity and proprioceptive training/stretching with aerobic exercise. This combination is important in order to improve function and impact other medical conditions. In one randomized controlled study, the results of treadmill exercise versus stretching (control group) concluded that task-repetitive treadmill training could improve gait and fitness for stroke patients. The study’s investigators were able to show through functional MRI that cerebellum-midbrain circuits were recruited during the treadmill work, suggesting neural network plasticity. Another study compared 50 stroke survivors who received locomotor training with body weight support (BWS) to 50 who received the training without BWS. The study showed that retraining gait with a percentage of body weight supported results in better walking and postural abilities than the control group. The study also concluded that older stroke patients with greater gait impairments benefitted the most from BWS training. The AlterG® Anti-Gravity Treadmill™ offers BWS with a gentle lifting force provided by the NASA-inspired Differential Air Pressure. This technology allows for the unloading of full body weight to 20% weight bearing, in 1% increments, which helps a therapist find the exact amount of support necessary for a neurological patient to gait train with less effort. The AlterG offers stroke survivors superior ease of use with a simple entry and exit. It provides a fall-safe environment, which is perfect for neuro patients with abnormalities in gait and deficits in balance. The comfort of the Anti-Gravity Treadmill may result in patients rehabbing and exercising longer than other unweighting offerings, which potentially could lead to greater motor learning and functional improvements. To achieve the most functional gains possible, stroke survivors need to tap into the plasticity of their brains by doing task-oriented training like BWS treadmill walking. While repetitive exercise may have been difficult in the past without proper support, the AlterG provides a new standard of care for neurological patients. For specific recommendations regarding the usage of the AlterG with patients with neurological conditions, please visit guidelines from Nancy Byl, PhD, PT, HERE. To find a therapist using AlterG for stroke rehabilitation, check out the ZIP Code Locator to find a facility close to your home or work.